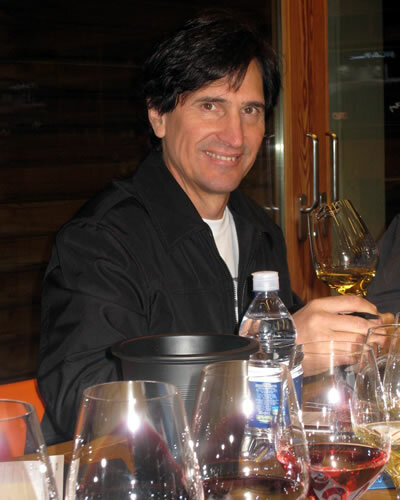 Ronn Wiegand is an international wine professional with 40 years of experience as a sommelier, wine journalist, wine critic, wine educator, wine judge, and wine consultant. He is a Master of Wine (1991) and Master Sommelier (1986)—and was the first person in the world to hold both titles. A native Californian, Wiegand discovered fine wine while attending Sterling University (Scotland) as part of the University of California’s junior year abroad exchange program. At one special dinner with three friends at a local upscale restaurant, he had his first wine-with-food epiphany. Upon returning to California, he began to work in restaurants while completing his Master’s degree at San Francisco State University. By then, his interest in wine had blossomed, and he spent much of his free time attending wine tastings and visiting Napa and Sonoma wineries. Fortuitously, he was hired as a waiter at the prestigious Clift Hotel in San Francisco. Within weeks, he was promoted to Assistant Sommelier, once the hotel’s Head Sommelier, Raoul Sofer, realized how knowledgeable Wiegand was about wine. As it happened Sofer was also the first American ever to pass the Master Sommelier examination, and he instilled in Wiegand great reverence for the profession. Wiegand left his job at the Clift Hotel to undertake an epic, self-guided wine tour through France and Germany, entirely by bicycle. During his 5+ month journey, he set up appointments at, and visited, more than 300 wineries, nearly all of them among the greatest in both countries, including all the Bordeaux classified growths (red and white); top Burgundy domaines (Romanee-Conti, Comte de Vogue, Leflaive, de Montille, and many more); and dozens of great German wine estates (Egon Muller, J.J. Prum, Dr. Thanisch, Schloss Johannisberg, Staatsweinguter/Eltville, Robert Weil, etc.). Later, in 1986, Wiegand flew to London and took the Master Sommelier Diploma exam—and passed all three sections on his first attempt. Similarly motivated, in 1991 Wiegand sat the grueling, 4-day Master of Wine examination, at the World Trade Center in New York City, and also passed that full exam on his first attempt—thus becoming the first person in the world to hold both degrees. Wiegand began writing about wine in 1981, and has published hundreds of articles in such publications as Decanter and Wine Spectator. He was wine columnist for both the San Francisco Examiner and the trade publication Nation’s Restaurant News for 5 years. Since 1988, he has been Publisher and Editor of Restaurant Wine, a subscription-only journal read by sommeliers and restaurant wine directors throughout North America. In the course of his work, he regularly tastes up to 5,000 new wine releases a year, and estimates that he has tasted more than 200,000 wines in his life. A professional wine judge at major festivals and competitions, Wiegand has judged at competitions in the USA, South Africa, New Zealand, Italy, Hungary, and Turkey. For two years, he was also director of Vino, the first-ever, professional, all-Italian wine competition every held outside Italy. 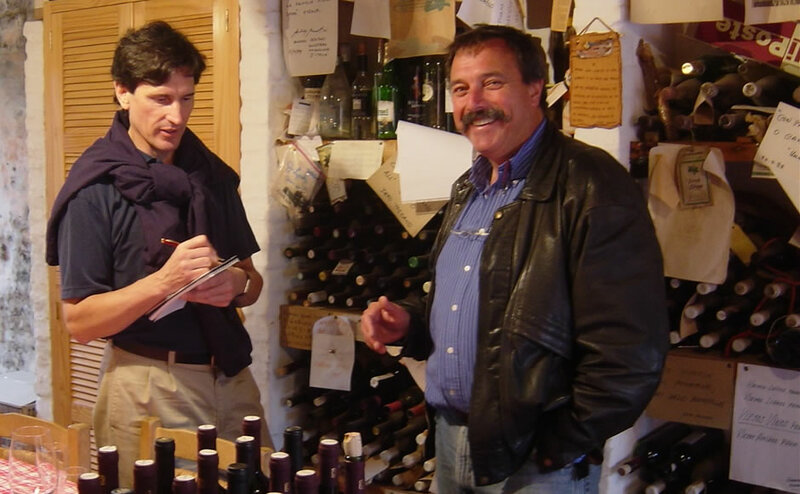 He has conducted or led hundreds of wine classes and lectures over the years, for both consumers and the trade, including restaurant staff and managers, distributor/winery sales reps, wine aficionados and collectors, and major companies, including American Express, Merrill Lynch, Barclay’s, and Visa. From 1988 to 2010, he taught wine classes in the Culinary Arts Department of Napa Valley College. Wiegand moved to the Napa Valley in 1980, and lived and worked there for 30 years. He now lives most of the year in Tokaj, Hungary, where his wife manages Erzsebet Pince, her family’s estate winery, founded by her mother in 1992, immediately following the change in governments. He returns to California to taste wine several times a year.